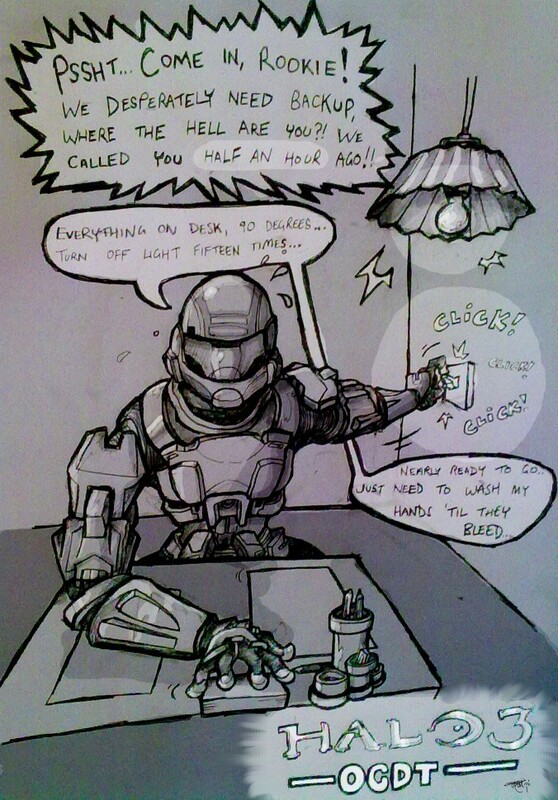 "The Rookie" is the silent protagonist in Halo 3: ODST, and part of the elite squadron that allegedly does all the dirty work in Master Chief's wake. So, you'd imagine the Rookie would have a lot of stories, right? Well, he's not much of a talker, it'd seem. Bottling up all of that must have some kind of detrimental bearing on his mental state, right? Well, who's to know? He sure as hell can't tell us. Now, here's a comic using a really cheap letter-changing joke.